It looks like I first viewed M40 (Messier 40, Winnecke 4) in July 2010. It seems the wide equal pair did not make a big impression on me. Still, I thought it might be fun to image it with the BGO 'scope, while the Moon was bright. In preparing for the target, I noted orange star 70 UMa nearby. I decided to include it. For the first time, I tried the offset function with the robotic telescope commands. I told it to shift -15% in RA and -15% in Dec. It worked. 70 Ursae Majoris is at the bottom edge of the image. There are hints of the faint nearby galaxies. Due west of the double star is the canted oval of NGC 4290. Beyond it: the smaller oval smudge of NGC 4284. Surprising, in a 3 second shot. 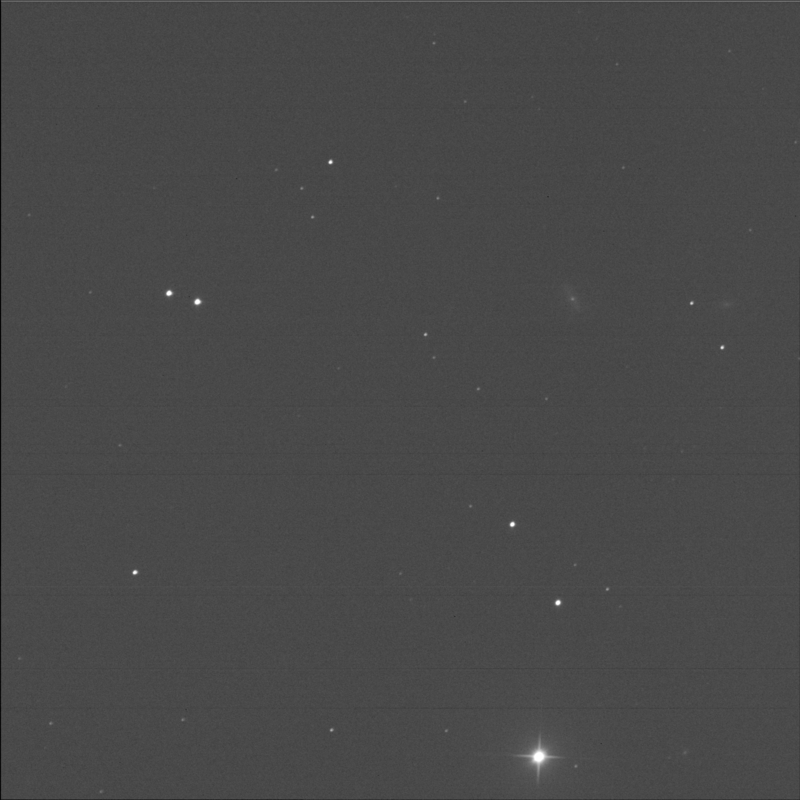 I didn't see this at first but SkyTools showed a small round galaxy to the west of the bright star. It's MCG 10-18-27 at magnitude 15.7 (in B). It is amazing to me that it is visible in such a fast exposure!